Right to Education (RTE) Forum, the apex body of a large number of RTE campaign organizations, has described July 26 as the “black day for million of Indian children” following the Lok Sabha nod to Child Labour (Prohibition and Regulation) Amendment Bill. The amendment was pushed despite objections from UNICEF's chief of education in India, Euphrates Gobina, who said, the Bill would allow “more invisible forms of child labour and exploitation”, which “may go unseen”. Gobina added, “The most vulnerable and marginalised children may end up with irregular school attendance, lower levels of learning". “The Union Labour Ministry and the Government of India have completely negated the voice of child rights activists of this country and also the recommendations of the Parliamentary Standing Committee on labour”, an RTE Forum statement says. 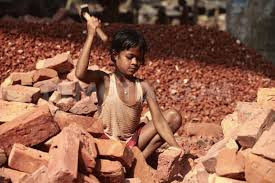 “There are 1,01,28,663 child labourers in the country between the age group of 5 to 14 years as per 2011 census. The amended Bill might give a first impression that the government is taking a stringent measure to end child labour upto 14 years. But a closer look at this reveals that it is hardly the case”, it says. “Of course there are some relevant measures in the new bill such as a jail term of up to 2 years for those employing children below the age of 14 for labour activities”, the statement adds. Through the Bill, the government has made an exemption that the child can help his or her family or family enterprise after his or her school hours or during vacations. The government has made the amendment on the hypothesis that education and work for children can go hand in hand. “But this defeats the very purpose of protecting the children from exploitation and also the Right of Children to Free and Compulsory Education Act”, RTE Forum believes. “Employers and contractors will benefit from this amendment and children will now be forced to be exploited through this amendment”, he says. `Family’ in the Bill has been defined as child’s mother, father, brother, sister and father’s sister and brother and mother’s sister and brother `Family enterprise’ has been defined as any work, profession, manufacture or business which is performed by the members of the family with the engagement of other persons. “This means a child can work in any manufacturing or business unit if it is owned by his/ her relative”, Rai says.